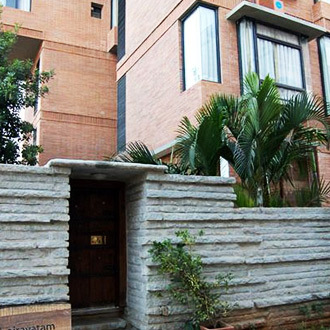 This 3 Star hotel opposite Embassy Golf Technology Park is maintained with traditional artistic designs, featuring a mini-water hole in the garden space. There are 20 contemporary rooms maintained with kitchenettes. Guests are served limited North-Indian and select Continental dishes in the roof-top restaurant, which is open from 7.30 am. to 10.30 p.m. Corporate travelers are also facilitated with a 600 sq feet conference and training room.